Contra Dancing is a form of North American folk dance in which the dancers form two sets of parallel lines which run the length of the hall. Each dance consists of a sequence of moves that ends with couples having progressed one position up or down the set (in a few dances the couple progresses two positions). As the Sequence is repeated, a couple will eventually dance with every other couple in the set. 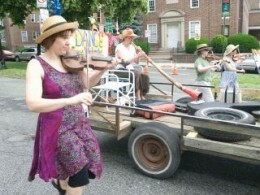 Contra Dancing was all the rage in 1800. 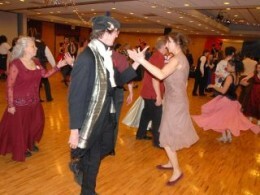 Many of the basic moves in Contra Dancing are similar to those in square dancing (swings, promenades, dos-a-dos, allemandes). 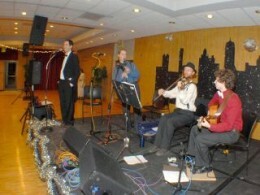 A square dance set comprises only four couples whereas the number of couples in a Contra Dance set is limited only by the length of the hall. To join a set, all you need is a partner. If you have danced squares, you will enjoy Contras immediately. 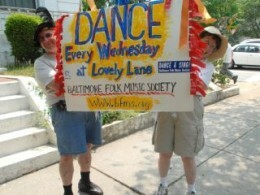 In Contra Dancing, your feet are never asked to do more than walk to the music. Each dance is taught by the caller before it is danced. The caller continues to prompt the dancers as needed. Because the pattern of moves of each Contra Dance is repeated often, Contra Dances are easy to learn. Both beginning and experienced dancers happily share the same set. Why should I dance Contra? 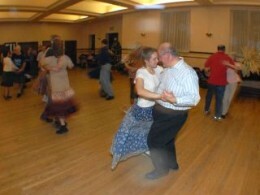 Contra Dances have a relaxed, family-like atmosphere where the emphasis is on dancing, a welcome relief to noisy and smoky dance halls. The patterns of the dances are nifty. 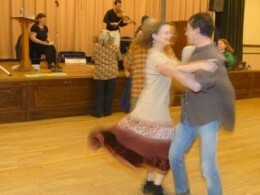 Contra Dancing is excellent exercise that you can take at you own pace. Above all, Contra Dancers form a community of friendly, active people and they welcome new dancers, be they youngsters or seniors. Most dancers range from 25 to 50 years old. No. 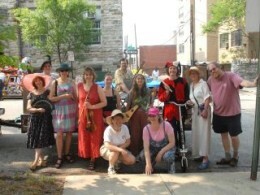 Contra Dancers tend to dress informally. Most people dress for comfort and in anticipation of vigorous exercise. Ladies prefer loose, light dresses or skirts; men wear lightweight slacks, jeans, or even shorts. Be sure to wear soft-soled, comfortable shoes. Written by Les Francey and Farrell Boyce, Hamilton Country Dancers.